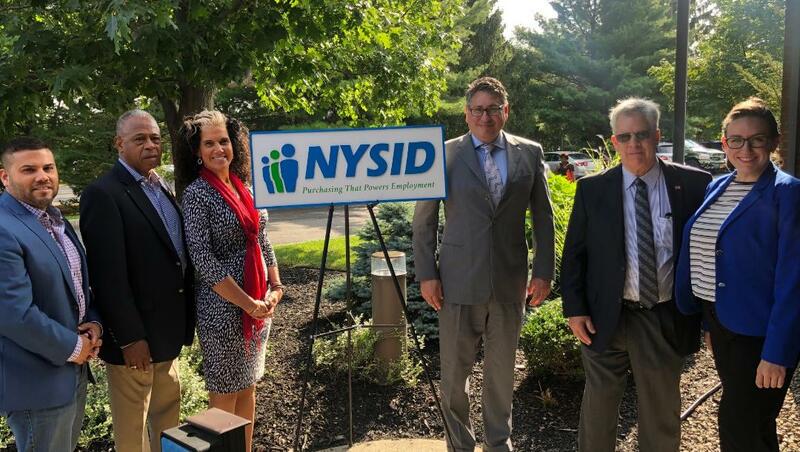 NYSID Veterans' Summit Promotes Awareness, Employment and Holiday Giving Among Statewide Attendees - New York State Industries for the Disabled, Inc.
An inaugural awareness day for veterans, a third annual employment conference for veterans, and Capital Region Toys For Tots comprised the presentations for NYSID's quarterly Veterans' Summit on September 19 at its Albany office. She is coordinating the Capital Region's first Military Awareness Day from 10 a.m. to 4 p.m. on Friday, November 2 at Crossgates Mall in Guilderland. The purpose of the event is to bring together organizations and individuals involved in military life, including supports, resources, military careers, transition services, educators, programs, government and business. They are part of an alliance coordinating VETCON 2018 (Veterans in Economic Transition Conference). VETCON returns to The Desmond in Albany for the third consecutive year November 27-28, with New York State agencies and authorities, veteran-owned businesses, prime contractors and other participants. The Conference will provide veterans with educational sessions, matchmaking opportunities and networking to facilitate starting and/or growing their businesses, with special focus on Service-Disabled Veteran Owned Business (SDVOB) opportunities with New York State. The mission of the U.S. Marine Corps Reserve Toys For Tots Program is to collect new, unwrapped toys during October, November and December each year, and distribute those toys as Christmas gifts to less fortunate children, while delivering a message of hope that will assist them in becoming responsible, productive, patriotic citizens. Caitlin Rooney, Albany regional director for U.S. Senator Kirsten Gillibrand (D-NY), member of the U.S. Senate Committee on Armed Services; and George Christian, constituent service representative for U.S. Congressman John Faso, (R-19), also attended the Summit. Summit participants typically include not-for-profits, veterans' service organizations, institutions of higher learning, NYS government agencies, NYSID member agencies and rehabilitation organizations for networking and mutual support.